Bryan Lane is a performer with diverse tastes and abilities who desires to move his audiences on a deep level through honest performance of unique and varied repertoire. 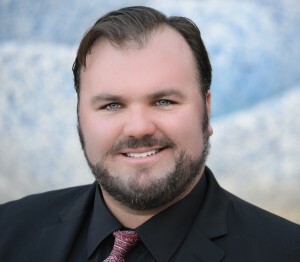 With interests in choral music, chamber music, and opera, Bryan is a full time member and soloist with the Los Angeles Master Chorale and has sung professionally with Seattle Opera, the Oregon Bach Festival, the Santa Fe Desert Chorale, Opera Santa Barbara, and various other local and national organizations. As an avid recitalist, he can be heard in programs with the Santa Barbara Music Club recital series, and in solo recitals around Los Angeles. Bryan has recorded studio vocals for JBL/Harman Professional solutions and the featured vocal library, Voice of Gaia: Bryn with Soundiron instruments. Bryan also enjoys playing and recording on solo trumpet and can be heard on films by director A.K. Hottman, on the mixtape Cassanova by Hip-Hop artist Brian Fresco, and several albums by singer/songwriter Trevor Borden. Bryan is a staff singer/soloist at San Marino Community Church and a cantor at St. Julie Billiart Catholic Church in Newbury Park. He is the recipient of the 2015 Early Music America Summer Scholarship and was a semi-finalist at the 2014 Classical Singer Vocal Competition. Bryan holds an Artist Diploma in Early Music from Cornish College, a Masters in Voice from U.C. Santa Barbara, and a B.A. in Music from Westmont College. Visit www.bryanlanemusic.com for recordings and more information.